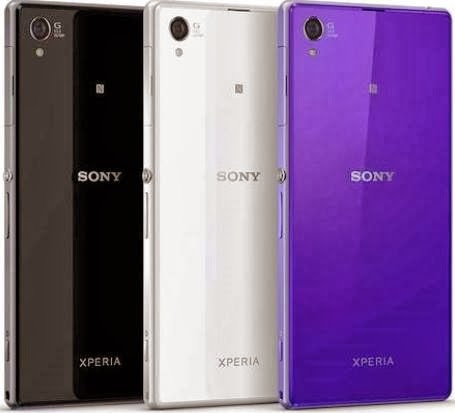 Sony is going to launch a new Smartphone the Xperia Mini Z1 f as the mini version of the Xperia Z1 flagship Smartphone, however this Smartphone was intended to release for the NTT DoCoMo network and there were no news on the international release of this device. However now some rumours are rising up on the international availability of this device. Some press renders leaked online that the international variant of the Xperia Z1 Mini will be called the Xperia Z1S and some photos got leaked claiming the rumours are genuine. The photo was leaked by one of the most trusted sources-evleaks. However, the Docomo variant of the Xperia Z1 mini will be on stores from December, and we can also expect that the Xperia Z1S will also be announced that time. The specification is also expected to be similar to the Z1f, and when checking out the specs, it would be one of the decent devices to check out. Now we can go though the specification of this device. The Xperia Z1 f comes with a 4.3-inch HD display with a resolution of 720 pixels. The device will be powered by a Qualcomm Snapdragon 800 Quad core processor with a speed of 2.2 GHz. this device will be running on the Android 4.2 Jellybean OS; in the connectivity section, this device will be having an LTE support with the NTT Docomo network, and it is an exception with this variant. Moreover, it is more unlikely to have an LTE support on the international variant expect the US and UK ones. In the camera section, this device will be packing with the same camera specs of its bigger version Xperia Z1. A 20.7 MP G lens camera. More details of this device will be revealed soon by Sony, because the press renders are already out and leaked and it is there is less chance that Sony to wait until December to revel this device. When looking at the specification that is leaked, the Xperia Z1 f is a well-powered Mini device that is launched in the market, because mini version of other manufactures are still less powered and packs with very basic specs.